Face Toner, RECOVERY is a luxurious handmade organic face toner that leaves your skin feeling Cool, Hydrated, Calm and Silky smooth. The aromas of RECOVERY are devine and you will LOVE the combination of scents from hand made Neroli and French Lavender. Availability: In stock Categories: Face Toner, Moisturiser, Organic Skin Care Products. Tags: best face toner, best facial mist, best facial toner, face toner, face toner australia, facial mist, facial toner, organic face toner, organic facial mist, organic facial toner. Face Toner or Facial Mist – RECOVERY is a luxurious handmade light and cooling toner which can be applied through out the day for instant freshness and skin calmness. 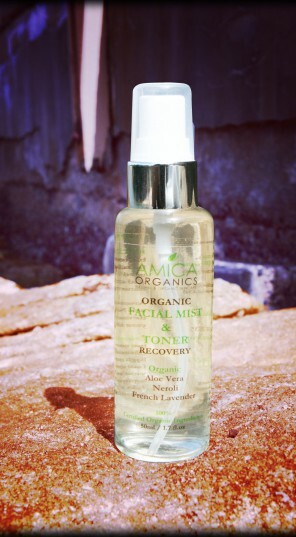 The aromas of Face Toner RECOVERY are a winner with scents hand blended from Organic Neroli and French Lavender. RECOVERY is a versatile facial and body skincare product. Some women use this as a toner, others use it as a perfume or as a body moisturiser. Organic Recovery leaves your skin feeling silky smooth with a earthy sweet aroma and does not leave any residue on your body. 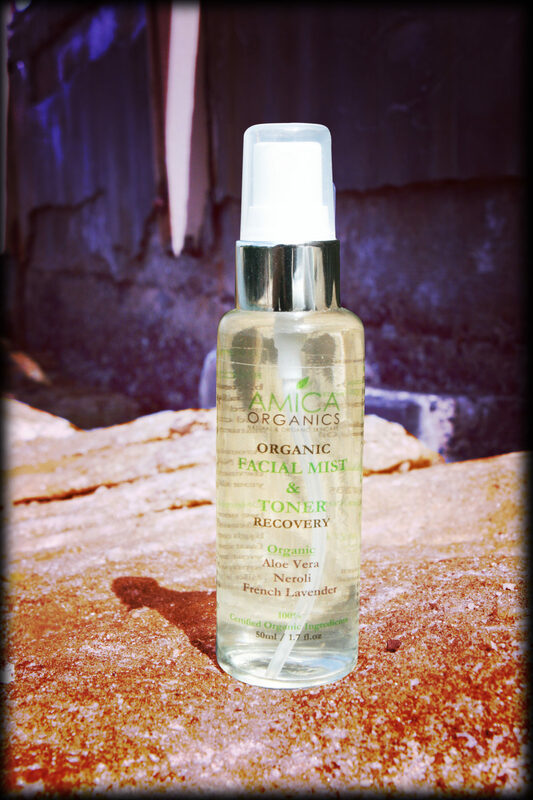 RECOVERY can be used by many with dry, normal or oil skin. Apply morning or night after cleansing with ALEGRIA or MANDARINO Cream Cleanser or after exfoliating your skin with RAW. Spray one to two pumps directly on your face about 30cm away from your face or spray directly into your hands and use your hands to apply on your face. Please do not spray into your eyes. Keep eyes closed when spraying.